As a child I spent many weekends at Samlesbury Hall. 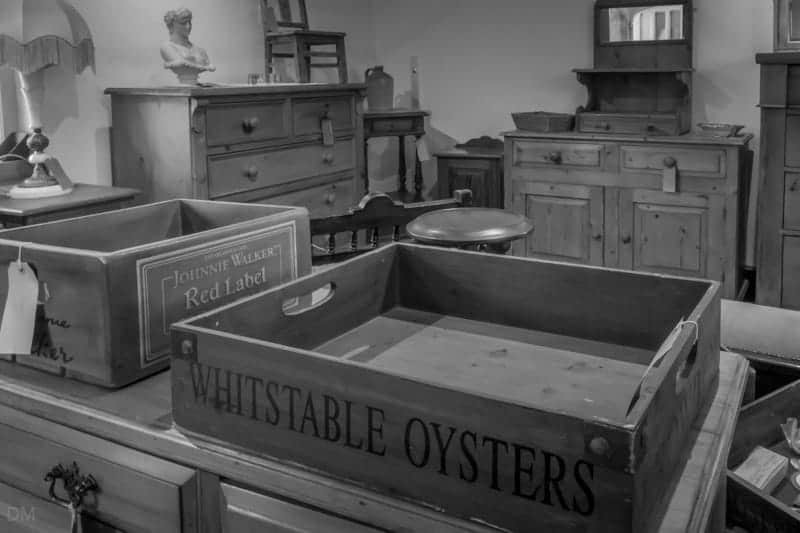 My parents were antique dealers and in those days, decades ago, it would be best described as an antiques centre that happened to be in a historic house. Today, the focus has been changed and visitors now come here to explore the history of the building and relax in its extensive grounds. Antiques and collectibles are still sold here, but the retail space occupies a far smaller area than in the past. Samlesbury Hall was built in 1325 by Gilbert de Southworth, replacing an earlier structure that had been destroyed by Robert the Bruce. It remained the home of the Southworth family until 1678. Over the following years it was put to many uses, including periods as a public house and school. By the start of the nineteenth century Samlesbury Hall had fallen into disrepair. In 1924 it was purchased by a building company. 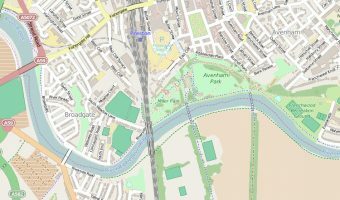 They had plans to demolish it and build a housing estate on the site. Fortunately their idea was never realised. A group of local businessmen raised the funds to purchase the hall. 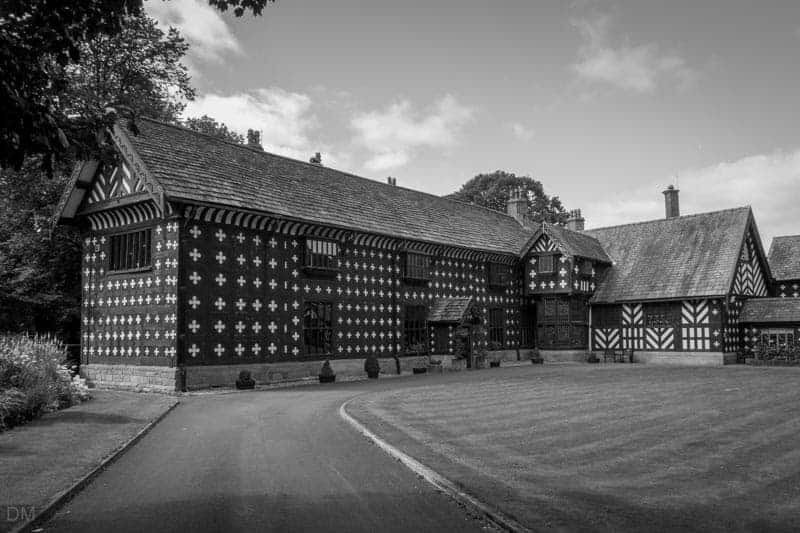 The following year ownership was transferred to the Samlesbury Hall Trust. 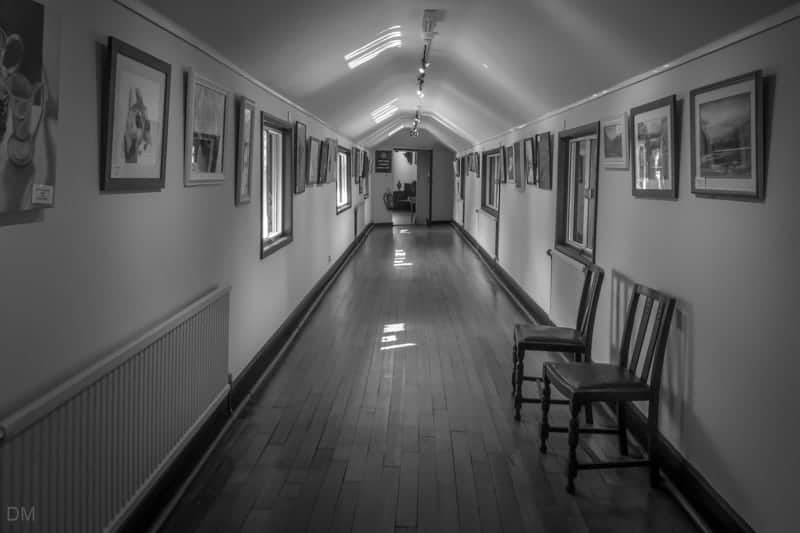 The deeds of this private trust established that the hall would be maintained and open for the public to enjoy. We last visited in September 2015. After parking the car we made our way to the Entrance Hall and picked up a free guide to the hall and grounds. Entry to Samlesbury Hall is free (except on event days). The first room we visited was the Chapel (or Whittaker Room); immediately left of the Entrance Hall. It was originally the private chapel of the owners and features windows reclaimed from Whalley Abbey. It is now used as a venue for civil wedding ceremonies. The flight of stairs from the Entrance Hall leads to the first floor Long Gallery. Exhibits here tell the story of the hall and its previous occupants. Items on show at the time of our visit included a seventeenth century pedlar’s trunk. This was discovered at Samlesbury Hall in the late nineteenth century. Pedlars were once a common sight in the towns and villages of England. They travelled around the country, trunks in tow, selling all manner of goods. The trunk on display here though had a different purpose. It was used by a Catholic priest to carry his robes and other religious items. At a time of anti-Catholic sentiments in much of England, the Southworth family offered a refuge for travelling priests. They would often travel disguised as pedlars to avoid persecution. Earlier hostility to towards Catholicism is dramatically illustrated in the next room. The Priest Room was a hiding hole for Catholic priests. In the mid-1500s soldiers followed a priest to Samlesbury Hall and discovered him hiding in this room. He was promptly beheaded. Legend has it that the bloodstains could not be scrubbed from the floor. They remained for centuries until the floorboards were replaced. The next room we came to was the School Room. In 1852 Samlesbury Hall was let as a school. This room is a recreation of how a classroom would have looked during the Victorian era. Other rooms on this level are a 1940s Bedroom and the Timeline Room. More historic rooms can be found on the ground floor. We returned to the Entrance Hall and turned right to enter the Parlour, an impressive room with oak-panelled ceilings and a huge Tudor fireplace. Next we visited the Victorian Kitchen. 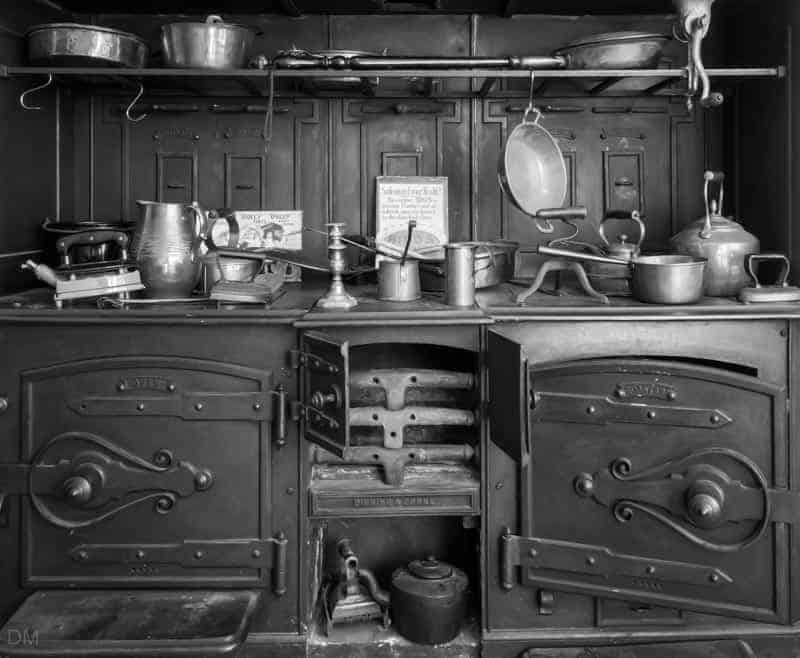 Displays here showed how food was prepared in the late nineteenth century. Moving through the building we came to the Great Hall. 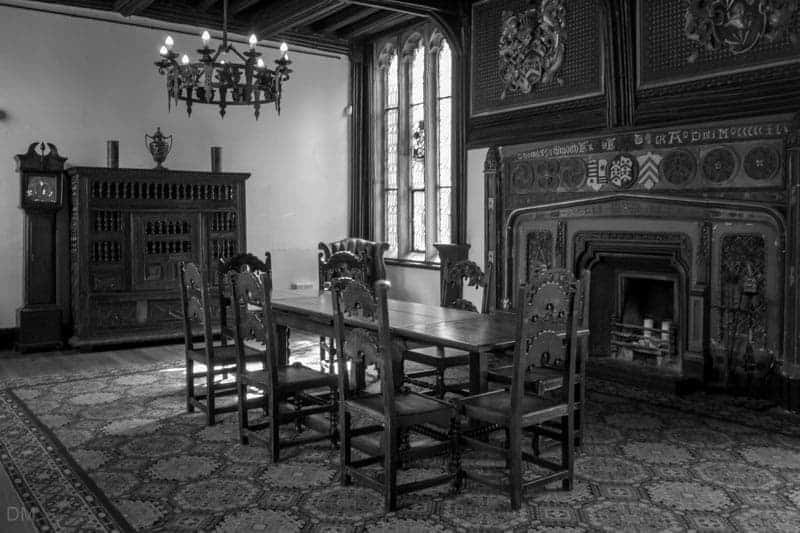 Built in the fourteenth century, it is the oldest and most impressive room at Samlesbury Hall. The original room would have been much more basic, with a thatched roof, earth floor, and central fireplace. The magnificent fireplace seen today is a sixteenth century addition. Rooms to the north of the Great Hall are now the Coffee Lounge and Restaurant. We didn’t eat in the restaurant but bought ice cream from the Ice Cream Parlour. It was a pretty dull day but we sat in the Courtyard and enjoyed them. 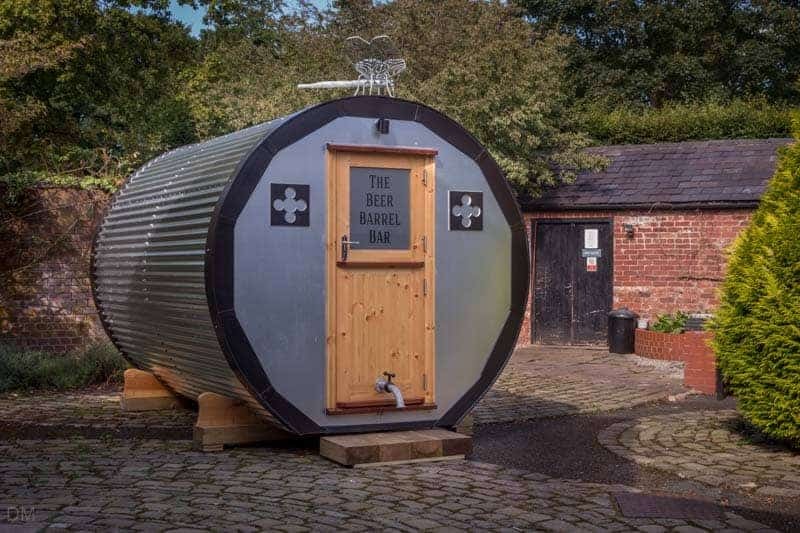 At the time of our visit they’d just taken delivery of the Beer Barrel Bar. It hadn’t opened but looked like it would be an interesting place to have a drink. After our break we made our way back into the hall and went up to the Bridge Gallery. This crosses the Courtyard and is used for art exhibitions. When we visited it was hosting a show by the Pendle Artists. 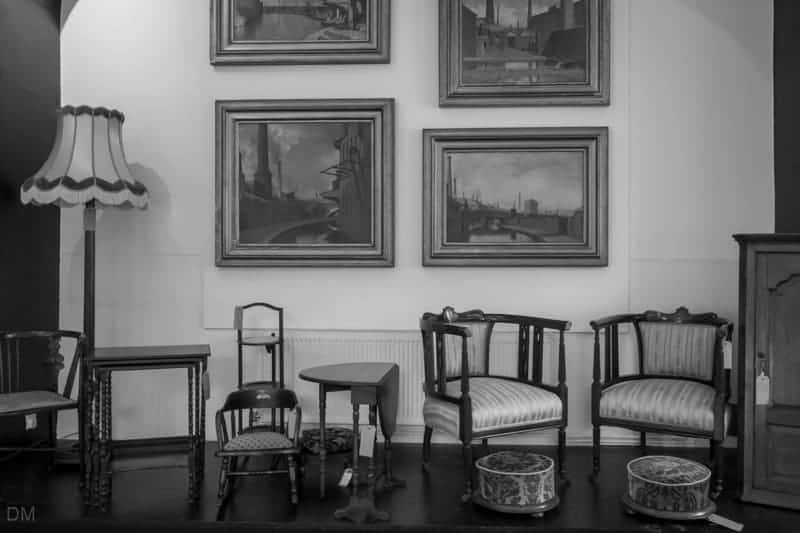 West Wing Antiques, the hall’s antique shop, is at the end of the Bridge Gallery. Before exploring the grounds we popped into the Gift Shop. It had a good selection of Lancashire books, crafts, cards, artwork, and foods. The adjoining Cabinet Room sold pine tables, sideboards, and dressers. Samlesbury Hall has fairly extensive grounds. 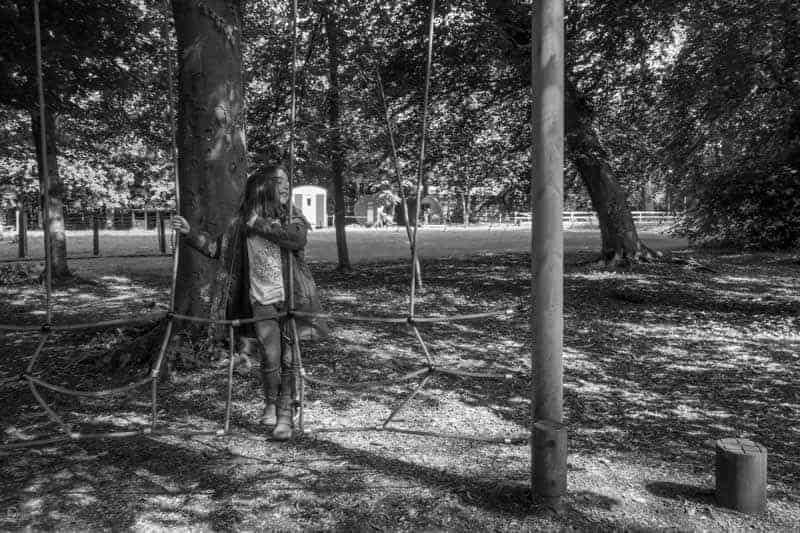 The Play Trail is a woodland adventure course with bridges, rope swings, and more. It’s not as big as the one at nearby Brockholes but, nevertheless, my daughter still enjoyed it. The Animals section, just north of Play Trail, is home to a variety of animals including rabbits, hens, goats, and pigs. The Bee and Heritage Garden is located at the far eastern end of the grounds. We only noticed it when we were driving away and were in two minds whether to stop. We were glad we did because it was one of the most enjoyable parts of our visit. 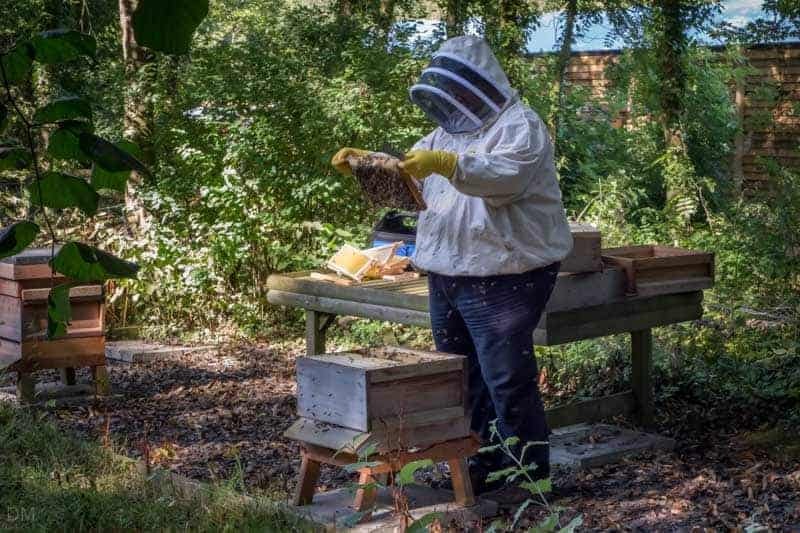 A very friendly beekeeper opened up one of the hives and gave a short but informative talk about bees and honey. 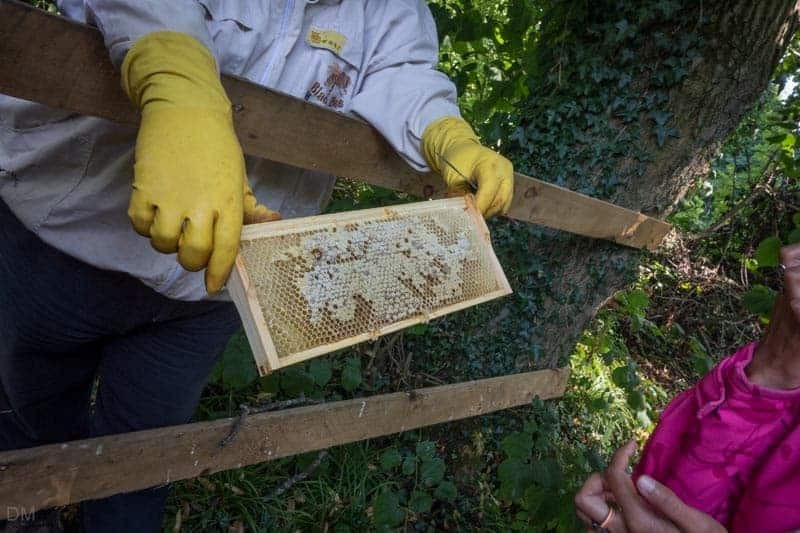 He was more than happy to answer questions and even allowed us to taste the delicious honey. Overall, we enjoyed our visit to Samlesbury Hall. 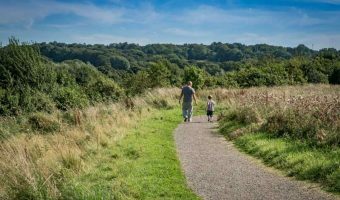 It offers a great (and cheap) day out with plenty to see. Samlesbury Hall is open throughout the year from Sunday to Friday. Opening times are 11 am to 4 pm. It is closed on Saturdays (and some Fridays – check the official website before travelling) for weddings and private functions. Entry is free except on major event days. Free guided tours of the hall are offered on Sundays. 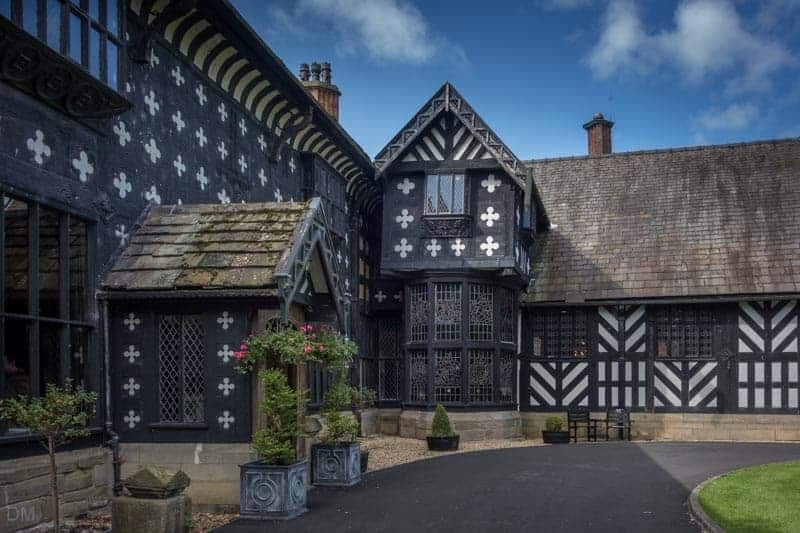 Samlesbury Hall is located on Preston New Road (postcode PR5 0UP), roughly halfway between Preston and Blackburn, and two and a half miles east of Junction 31 of the M6 motorway. 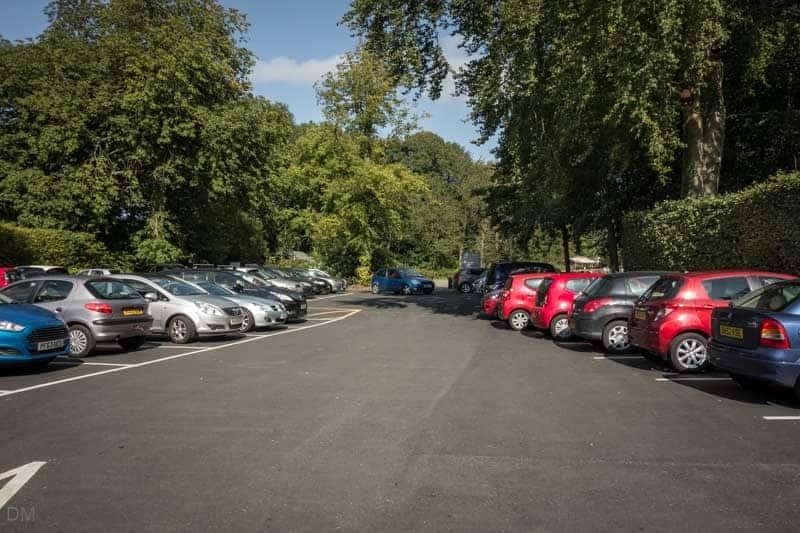 There are two large car parks at the hall. Parking is free. 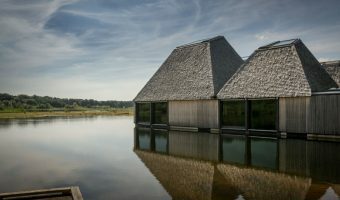 Other attractions in the area worth visiting include Brockholes and Huntley’s Country Stores. Map showing location of Samlesbury Hall. This place is truly the most fantastic in England. I was married at the hall on December 12th 2008 and it was truly the most fantastic day of our lives. The venue is stunning and Angela and Lindsay made the whole wedding experience a stress free joy. Many thanks to all at Samlesbury. Janice and Paul Irving. I’ve not been here for a very long time, but used to come here with my parents who used to like buying antiques here. It was (and I’m sure still is) very beautiful. Very fond memories. Samlesbury Hall is undoubtedly the world’s finest antique shop!